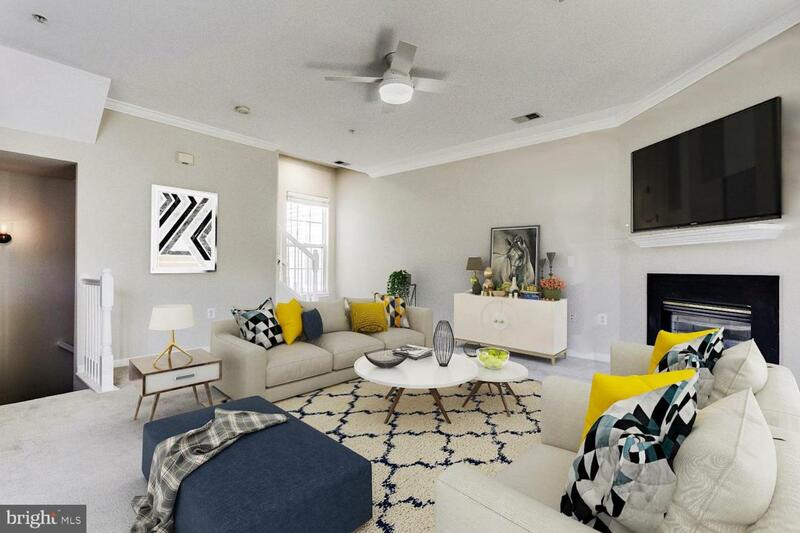 One mile from the future Herndon Silver Line Metro, this three level, 2BR/2BA condo is a must see! This unit boasts open floor plan living in a great community convenient to many amenities and shops. 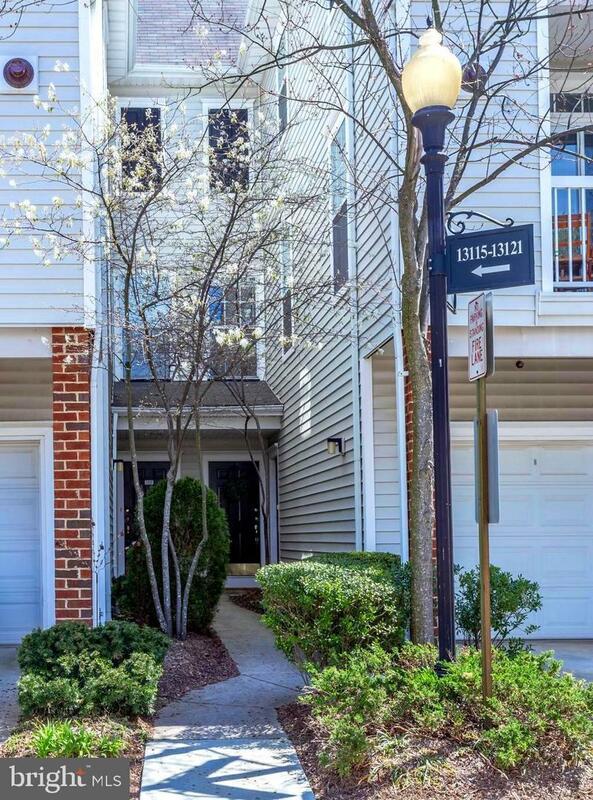 Living in Fox Mill station is a short distance from a 24-hour grocery store, various restaurants, retail shops, a yoga studio, and even mass transit! Main floor living is bright, airy, and spacious! The unit includes nine-foot ceilings throughout, updated lighting, and window views giving every room natural light. The living room has a gas fireplace and access to a balcony overlooking well-manicured common grounds. Love to cook and entertain? The kitchen opens in to both the living room and the dining room. The kitchen space is equipped with tall, wood cabinets, a gas range, stainless steel appliances, granite counter tops, a built-in microwave, and a pantry with pull-out drawers. There is plenty of storage space for all of your needs. Upper floor living includes two spacious bedrooms, two full bathrooms, and a closet with side-by-side washer and dryer. The vaulted ceilings in both bedrooms give a contemporary element to this home. The Master has a walk-in closet, and its own bathroom, while the second bedroom, also quite large has closet space throughout. Rooms have double windows and new fans. 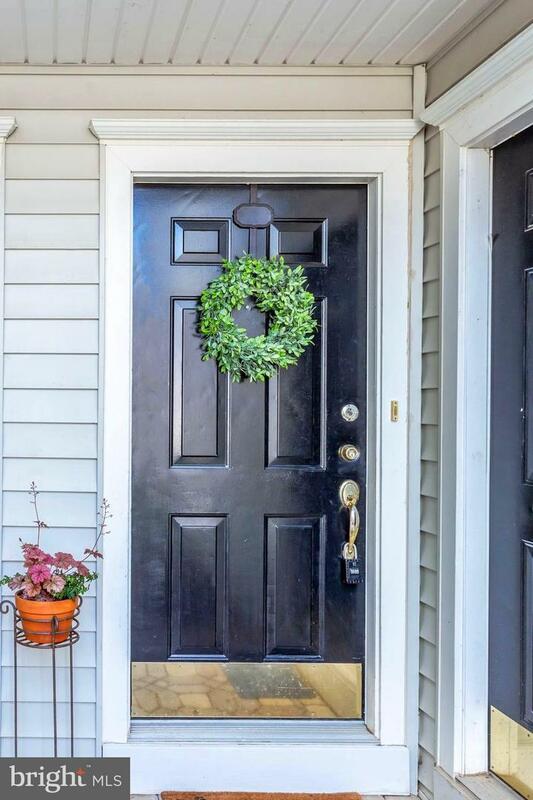 Condo includes new paint, new hardware, and new lights throughout the home. One assigned, and one unassigned parking space conveys. The community features an inground swimming pool, fitness center, a club house that can be rented out for private events, outdoor BBQ grills, and a playground. Water is included in the condo fees. It truly has everything. 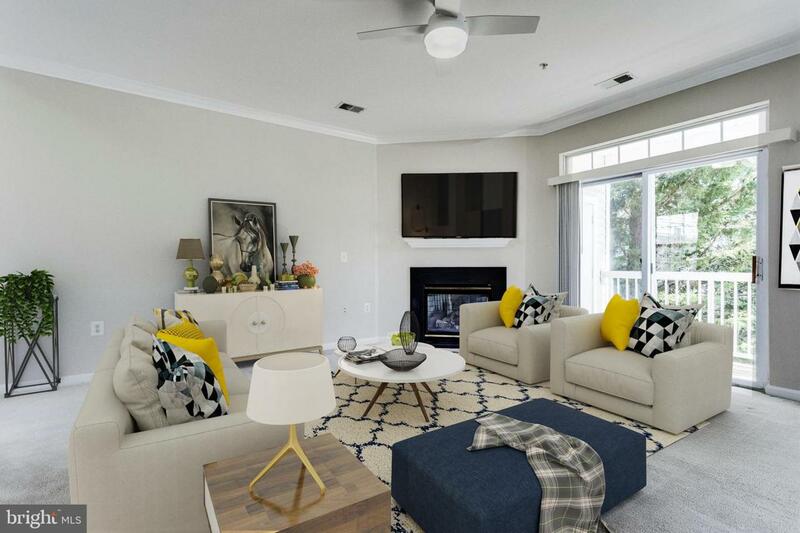 And if you want to get away:Fox Mill Station Community is less than a mile from Woodland Park Crossing Shopping Center, future Herndon Metro Station, 3 miles from Reston Town Center, and less than 4 miles to Dulles Airport. *This home has been virtually staged.